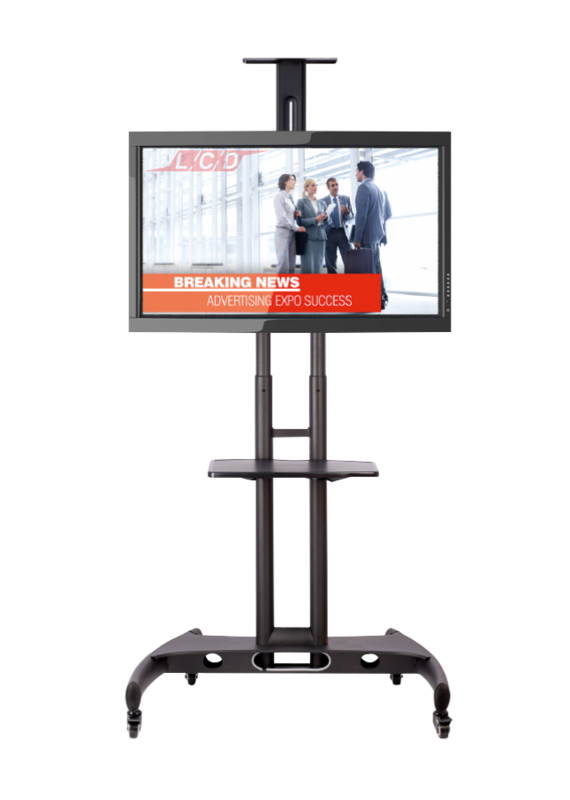 The school mobile monitor stand on wheels is a portable solution for mounting TVs and monitors. This is ideal for displaying educational content such as videos and PowerPoint presentations in primary schools, secondary schools, colleges and universities. This TV stand can support both LCD and LED monitors up to 60” in size and weights of approximately 45kg. The mount supports VESA standard from 100x100mm to 600x400mm. The monitor stand features an adjustable plastic shelf with an approximate load bearing weight of 4.5kg when evenly spread. This is ideal for holding a keyboard or other accessories. The integrated cable management system keeps cables hidden, creating a safe classroom environment. A second adjustable tray is located on top of the frame and also has a load bearing weight of approximately 4.5kg. 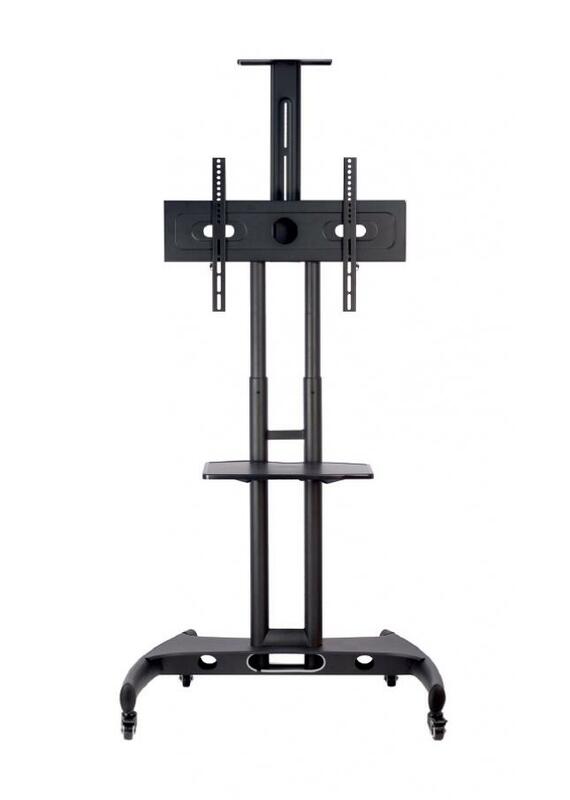 The monitor bracket is height adjustable between 1030mm and 1530mm (floor to screen centre). This allows for effortless viewing level set up, depending on the age of children in your class.